Beautiful! Love the big flower. Beautiful. I love the color choice. I love that about flowers that you can use any color you want. Beautifully done. My dads favorite flower was tiger lily. Brings back sweet memories. This is on my wish list. Egads, this is GORGEOUS! I love everything from the image to the ink to the dimension! You are so talented! Thanks for such a wonderful week of inspiration, Tosh! 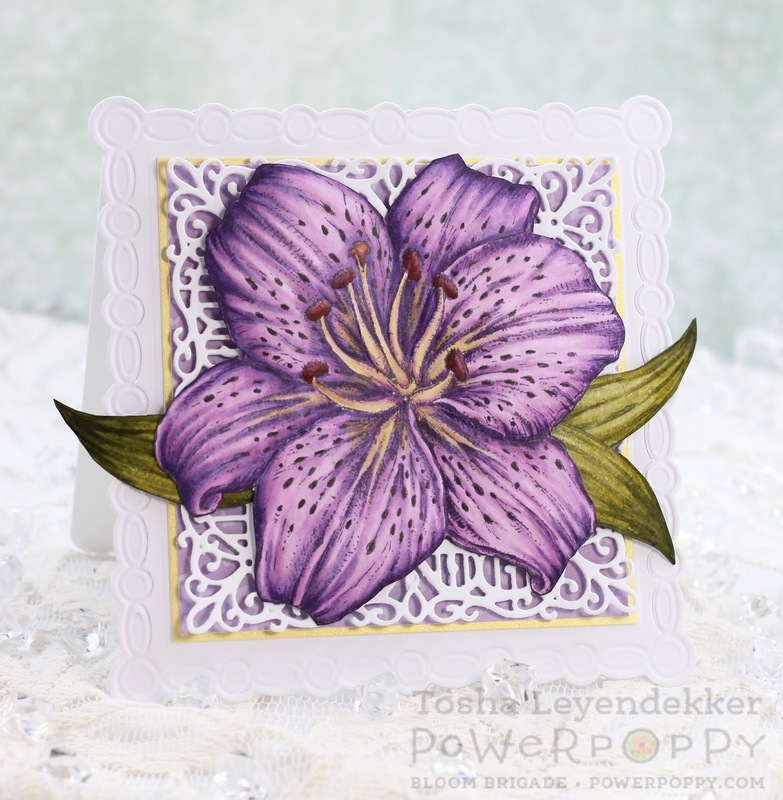 What a pretty purple lily! I love this stamp and you sure did it justice!